There is just something about toy cars and trucks! Looking for some new ways to play with them? For all the car and truck loving little boys (and girls) out there, here are 10 ways to play and learn with toy cars. 1. Draw the toy cars a city. 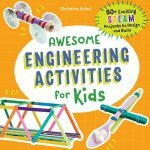 This one is great because you and your child get to design the city whichever way you choose! Just use a large piece of cardboard to draw roads, stores, houses, etc. (Ours had previously been decorated so I covered it with white paper.) You can get as detailed as you like. What I especially love about this is it takes up almost no room! I just slip it behind our toy storage drawers when it’s not in use. (No bunch of track to pick up at the end of the day!) 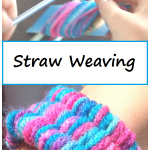 Plus, you can easily add to it by making several sections and laying them side by side. 2. 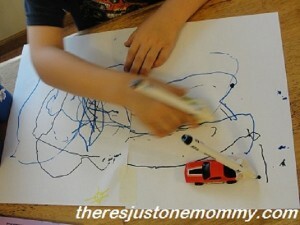 Use toy cars to make artwork. We like to tape a marker to the front or back of the small ca,r and then drive it around on paper. You can also drive your car through paint and get lots of neat tire tracks! 3. Use toy cars to work on ABC skills. 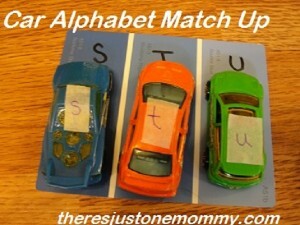 Try matching upper and lower-case letters, like we did in our Learning Activities with Cars post. 4. Drive your toy cars through a maze. 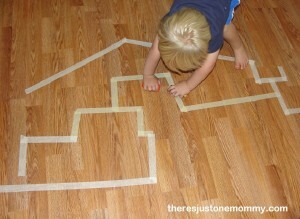 Make your maze as easy or complicated as you like, just draw it on a large sheet of paper. 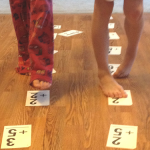 It’s a great way to help little ones learn how to solve a maze. 5. 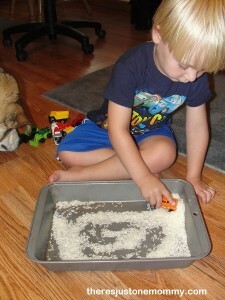 Fill a cake pan with rice and let them explore. Or use oats, beans, sand…. The options are endless! 6. Make a tape road to drive on. 7. Use blocks with the toy cars. Okay, so this is really a great one for trucks… But chances are, if you have cars, you have trucks! 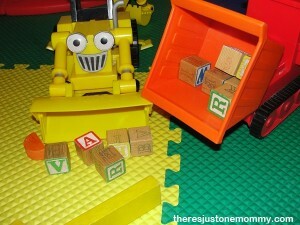 Use the blocks to build and then knock it down! 8. 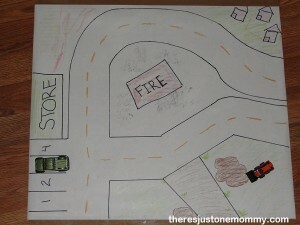 Draw a sidewalk chalk maze for toy cars. 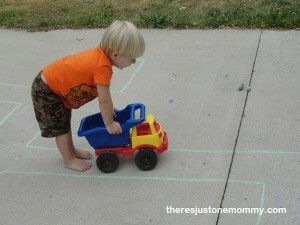 Take that maze idea outside and make a huge maze out of sidewalk chalk for trucks and cars to drive through. 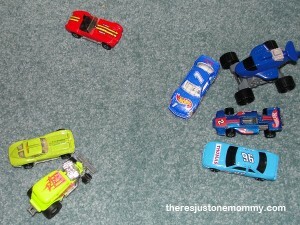 Use your collection of cars and trucks to practice sorting. You can sort by color, size, type… And once you are finished sorting, use them to make a pattern! 10. Send toy cars down a cardboard tube. We used old wrapping paper tubes to create our car slide that goes down the steps. 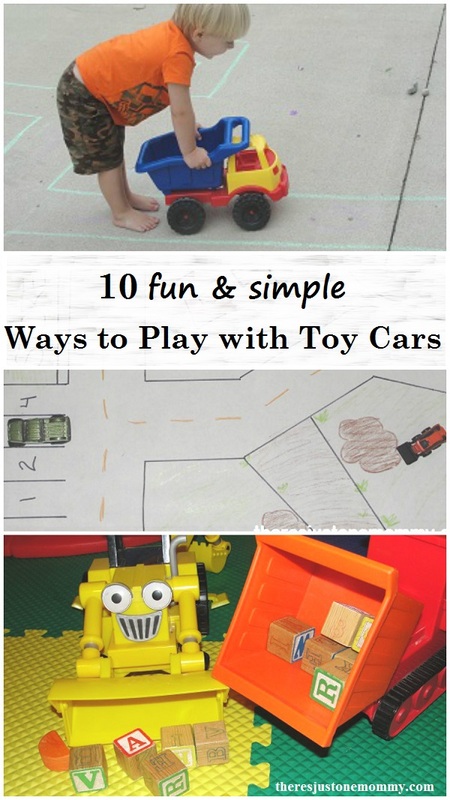 There are so many fun ways to play and learn with toy cars. 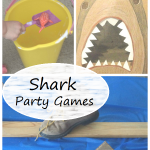 We use trucks and cars in sensory bins all the time but these other ideas are new to me! 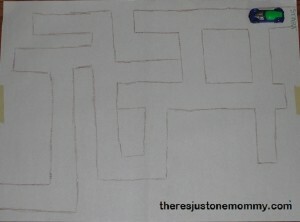 My daughter loves mazes and would love if I made some for her – but mama isn’t so good at the mazes! lol! My hope is that everyone will find at least 1-2 new ideas in the list…. Can’t invent the wheel all the time, so to speak! My little boy can’t get enough of cars these days. I will most definitely be using your ideas. You are such a creative thinker! Love this. Great to see you at #notjustahousewife link party. 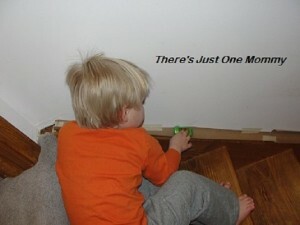 My little guy’s first word (other than “da da”) was car. Seriously. Even before ma-ma. 😉 Hope your little guy has fun with a few of these! These are simple but great ideas. I particularly like the rolling them down a tube. I think we could try it from the balcony if I can find enough tubes to fit together! From the balcony would be awesome! We left ours alongside the steps. It’s out of the way and they can use it whenever they’d like. Those are some fun ways to play with cars! I am going to use the alphabet car idea with my youngest. Please come share at the Anything Goes linky, if you have not already.